For this week’s Diva Challenge. “Heart of a Champion” is supposed to draw on the Olympics for inspiration, but I got distracted by the idea of Celtic hearts and decided to experiment with them. Patterns used are Shattuck, Static, Trio, and Tulipe. In the last few weeks, most of my artwork has been valentine-related. First though, here are some valentines I drew last year. This year’s valentines use a variety of techniques, mostly zentangle or doodling. A photographer who specializes in hummingbirds. Artist creates realistic drawings with an ordinary ballpoint pen. What you may or may not know about Klimt’s The Kiss. Writing tips from Ursula Le Guin. Questions to ask your significant other that will deepen your relationship. I think there was a Big Bang Theory episode about this. Truth expressed in Venn diagrams. 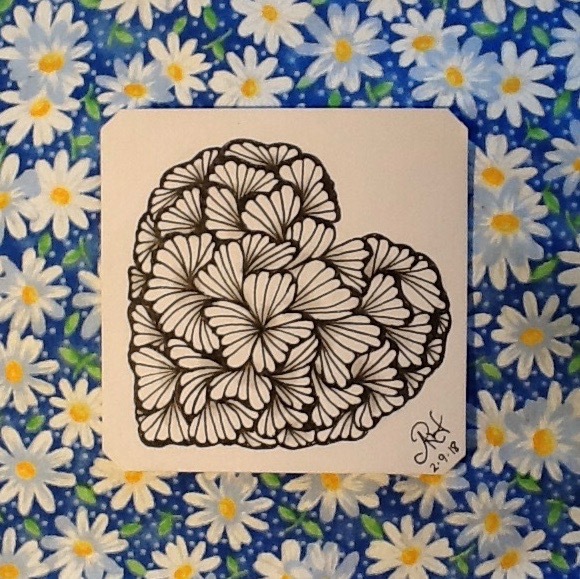 You have just enough time to make some of these lovely Zentangle valentines! Recharge your creative battery by reading these dozen articles about pretty and interesting things. Here’s a cute Valentine project for children or adults—allow a few days to make it. I never knew Ken Burns collects quilts. These photographs of snowflakes look like jewels. I didn’t know this about Rodin’s The Thinker. A technology story with a happy ending. Medieval clock still works today. For three weeks, I’ve been working on a valentine project. I assumed I could complete one heart-themed valentine drawing a day, and that, realistically, at the end of three weeks, I’d have 10-14 mini-masterpieces. Some of these took me as long as four sessions to complete. I ended up with nine. I wanted a whole bunch so I could pick one to make a card for my hubby. 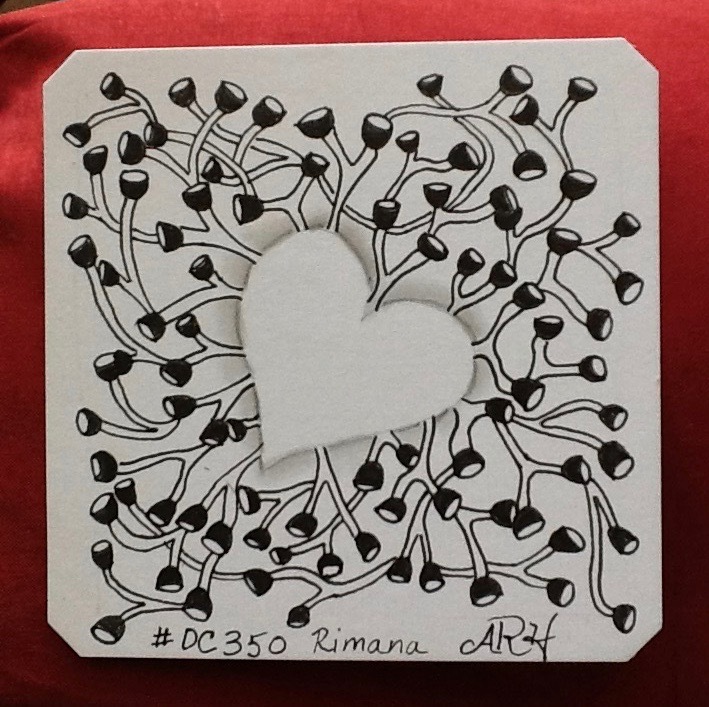 They were inspired by pictures I’ve been saving for the past year on my Zentangle Valentine board on Pinterest. Can you guess which one I chose for my husband?